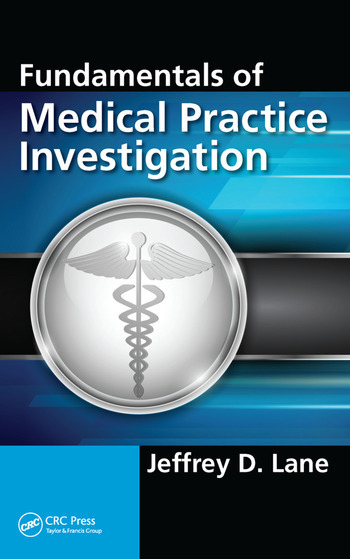 Fundamentals of Medical Practice Investigation fills an important gap in the resources for criminal investigators. 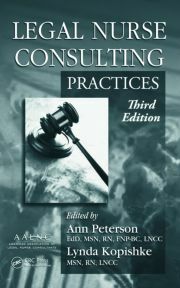 Appropriate for novice medical investigators as well as seasoned investigators looking to sharpen their skills, this book unites step-by-step fundamentals with up-to-date research reviews of critical issues in the field, including sexual misconduct, patient abuse, drug use among medical practitioners, and unethical or illegal prescription practices. 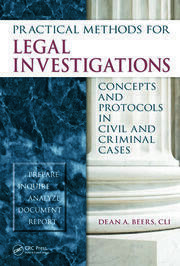 An essential tool for law enforcement and other criminal justice professionals, Fundamentals of Medical Practice Investigation will improve the quality of all types of medical investigation. Medicine and the Investigation Thereof. The Regulation of the Practice of Medicine. Witness Interviews and Subject Interviews. Mental and Physical Impairment Investigations. Investigating the Unlicensed Practice of Medicine and Complementary and Alternative Medicine. The Trial and Hearing Process and the Investigator as a Witness. Regulator Affairs Consultant, Allen & McCain, P.C. Jeffrey Lane has over 30 years of extensive experience as a police officer and state investigator for the state of Georgia where he was promoted to the Director of Investigations specializing in medical investigations.He is a member of the Georgia Chiefs of Police, National Association of Drug Diversion Investigators, and he has been an adjunct professor at Georgia State and Mercer Univeristy. He is published in the FBI Law Enforcement Bulletin and is currently a consultant to a medical malpractice firm.